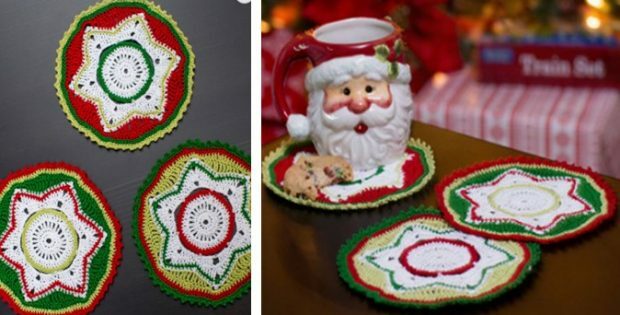 These super cute little crocheted party doily coasters are perfect for your dining table during Christmas. There are different colors that makes it more vibrant to your eyes. You can use them all year round and coordinate with your home decor. In fact, this great crochet pattern has been rated as intermediate. Once completed, these lovely party doily coasters should measure 6 inches in diameter. And if you prefer the metric system, the finished doily should measure about 15 cm across. The designer of these splendid and colorful party doily coasters is Michele Maks. You can download the FREE crochet pattern for these great party doily coasters from Red Heart. Featured image: Red Heart – thank you!